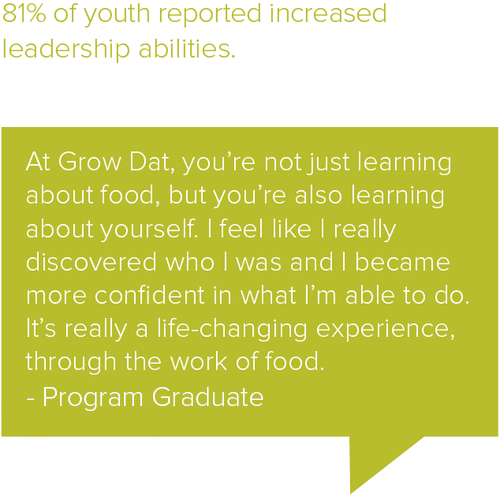 The idea for Grow Dat is simple: hire young adults, whose job options are often limited to fast food restaurants, to grow food for their community. We believe in the ability of young adults to be leaders who can affect change throughout their community. While on the farm, youth Crew Members engage in social, emotional, and ecological learning grounded in the themes of sustainable agriculture, community leadership, and food justice. Together, we imagine and work toward alternatives to the industrial food system. 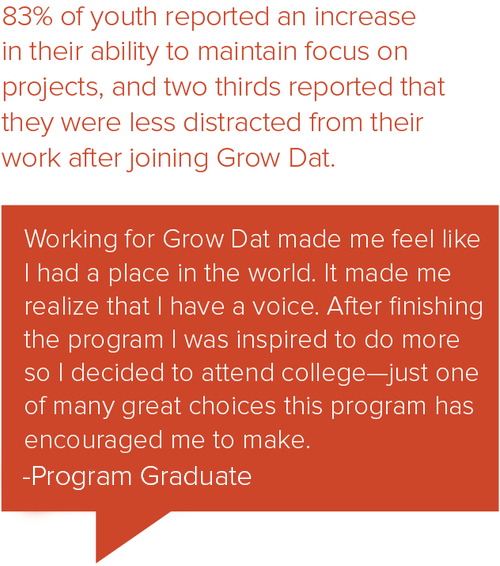 As a donor, you invest in the future of a young adult in New Orleans. It’s not easy to be a teenager today. The next generation faces many challenges, and it is our responsibility to give them the skills and resources positively contribute to their communities.